Organizing coupons can be a simple project or it can be very detailed, depending on individual goals. One step in the organizational process that most couponers do not skip is creating a labeling system so when they get into the store, they can quickly access the coupons they want to use. The labeling system can be simple, with only major categories separating the coupons, or complicated, with subcategories and additional sections. The best method is up to each individual, but reviewing a general overview can help you decide which works best for you. Many couponers use two systems to keep coupons organized. One is the major coupon organizer that they keep at home and another smaller, more manageable organizer that they take to the store with them. Generally, the organizer that is kept at home is fairly detailed with a lot of subcategories, while the one that goes to the store is a simpler system with mostly major categories and some primary subcategories. Some couponers find the two-system coupon organizing method to be a waste of time and double the work, while others find that using a less cumbersome system at the stores helps them actually save more money because the coupons are more accessible. Either way, it is a matter of individual preference. Also, what works today may not be as efficient tomorrow. A good way to determine whether your current system is working is by reviewing how many expired coupons you discard on a regular basis. If you have a lot, it is a good indication that it may be time to revise your system. 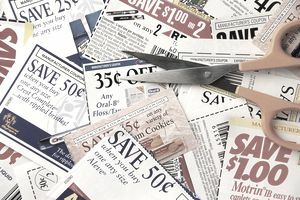 Unless you are into trading coupons, then clipping and organizing tons of coupons each week, on the chance that you might use them, could result in a lot of unproductive time and might lead to couponing burnout. A good look at the coupons that you are actually using can help you come up with a labeling process that works best for you. For example, if you are redeeming more coupons from the personal care category than any other section, then breaking that category into more top-level subcategories (personal care-dental, personal care-hair care) could prove to be useful. On the other hand, if few baking coupons are being redeemed, then dropping some of the subcategories under baking would make sense. Again, feel free to tweak away! It all comes down to personal preference.